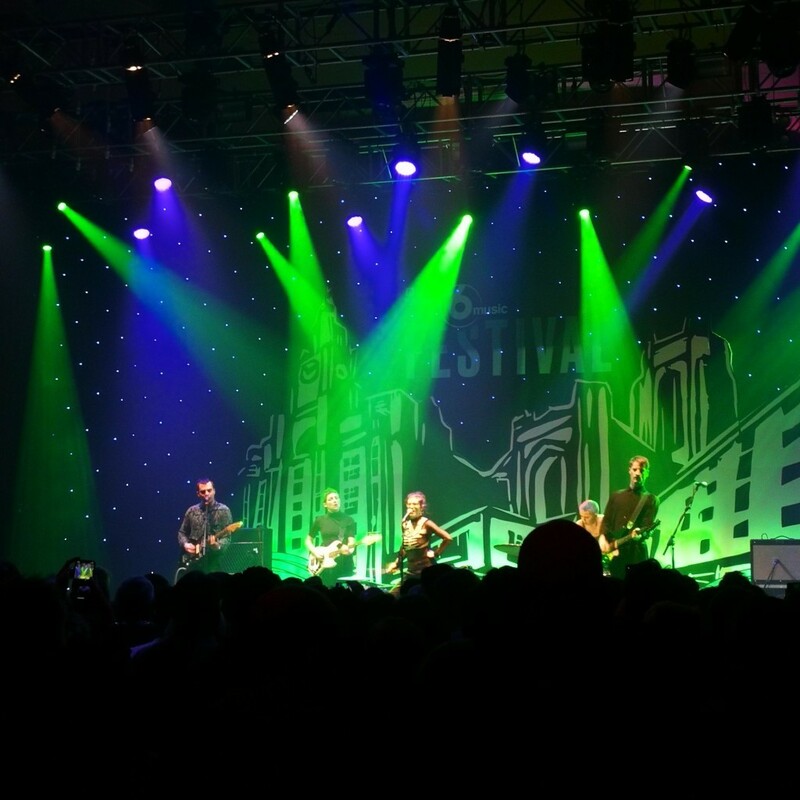 As a big fan of live music, BBC 6 Music Festival has been high on my list for many years. It’s the crème de la crème for any geeky alternative music fan. The festival is much anticipated every year and we inevitably dedicate the weekend to streaming it into the early hours. I’ve discovered some of my favourite bands through 6 Music Festival and gone on to catch them on their own tours. On hearing it was coming up north to Liverpool, we decided there would be no excuses this year and we had to go. It was exciting to hear that the festival was coming to Liverpool but almost as exciting (and a massive relief) to find they’d partnered with Access Card. This not only made the process of booking tickets really easy, but they also had my access requirements available on the night. I get very excited when a gig is announced and excited once again when I have my hands on some tickets. But anyone who gigs with me will testify that I find going to gigs stressful and I get more anxious the closer it gets to the event. Going to a gig with a hidden impairment can be really stressful and I never know what I’m going to be met with. 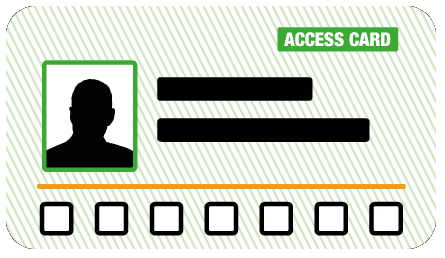 Having my Access Card makes the process much easier. It helps me buy tickets without having to hand over personal documents like doctor’s letters (to prove my access needs) and when it’s fully utilised, it means that venue staff are ready for me and I don’t have to talk about my disability when I’ve gone to enjoy a night out. The BBC 6 Music festival was textbook use of the Access Card. I bought my ticket online and then filled in their online form and emailed it over. As the festival was partnered with Access Card, this meant all I had to do was give my Access Card number and they would be able to access all my requirements so that I could enjoy the night. There was no explaining what my condition is or sending over personal documents (like doctor’s letters) to prove my disability. A week or so before the festival, we were sent access information to help us when we got there including where to park and which entrance to go through. We took along the email and when we told a member of staff we had accessible tickets, they knew exactly where to direct us. We were shown inside and given a seat while we waited for our festival wristbands. The Access Manager came down to greet us, gave us our wristbands, took us to the platform and showed us where all the facilities were. She had documents on her and was able to find my name along with all of my requirements thanks to my Access Card! It was such a welcome relief to go to a gig and meet a friendly face who had access organised so well and knew exactly what to do and say. She asked us if we’d had any problems on our way in and when we told her that we hadn’t she said ‘Good! That’s how it should be.’ From the start of the festival, we were made to feel so relaxed and this helped is enjoy the epic night. When the tickets were first released, we didn’t know which night or venue to go for (I went along with my boyfriend) – the line-up was so hot! We ended up going for Friday night at the Eventim Olympia (our first time at the venue) and I am so glad we did. The line-up was absolutely incredible starting with She Drew The Gun, followed by Bodega, then Maricka Hackman and finally Anna Calvi. I’d seen She Drew the Gun and Maricka Hackman previously, so I was looking forward to seeing them both again. Bodega were great fun, colourful, loud and energetic. 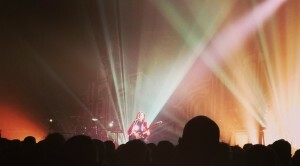 I was already a fan of Anna Calvi’s music and didn’t know what to expect live, but I certainly wasn’t expecting that. She was incredible – loud, talented, flawless, fierce. The sound quality was unbelievable, holding the whole venue in awe. It was more than I’d anticipated for my first and long awaited 6 Music Festival experience. I am still reeling from it and I’m so pleased I was able to go.